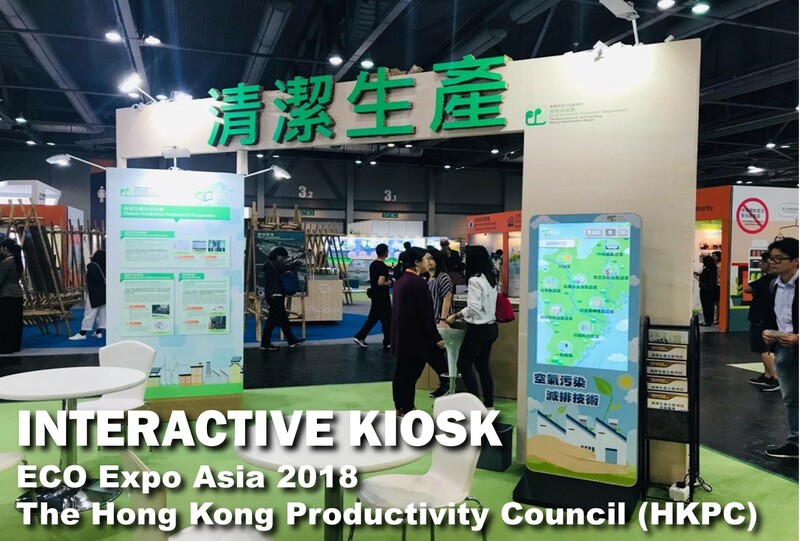 In order to promote green technology, Hong Kong Productivity Council (HKPC) setup a big exhibition booth in ECO Expo Asia 2018. 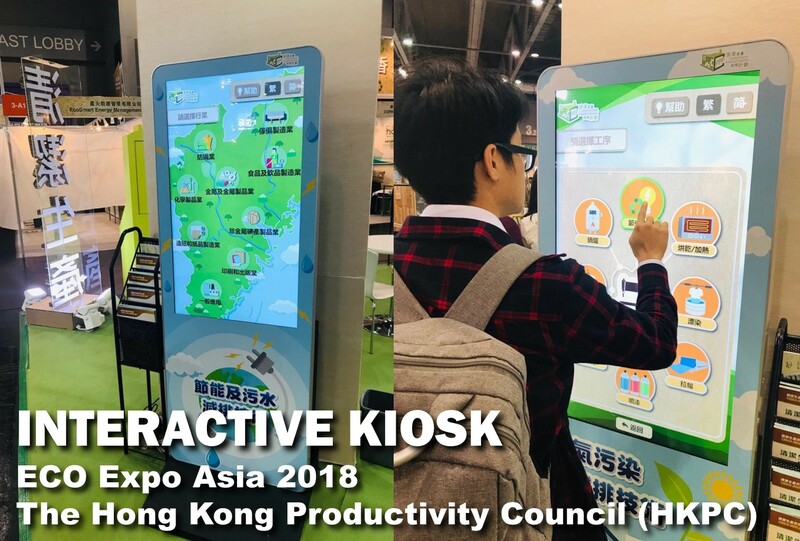 SenMedia developed two user-friendly interactive kiosks to introduce the technology to reduce air pollution and how to effectively reduce the water pollution by technology. Organised by the Hong Kong Trade Development Council and Messe Frankfurt (HK) Ltd, and co-hosted by the Environment Bureau of the Government of HKSARG, Eco Expo Asia is Asia’s trusted trade fair for global industry players to showcase the cutting-edge environmental technology, solutions and products.